Nissan preparing the 'hot' Micra version. 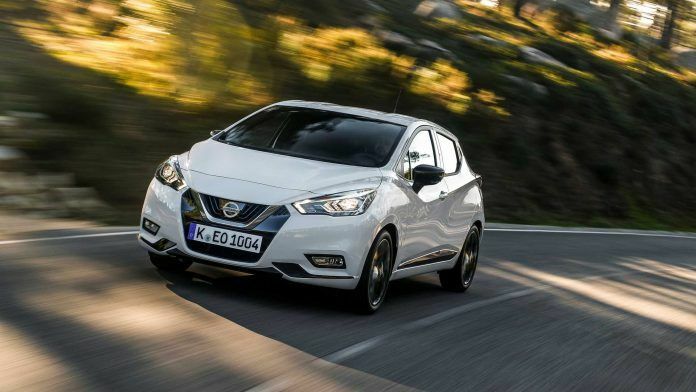 The new product will be called the Micra N-Sport. The car will be driven by a new 1.0-liter 115-horsepower gasoline motor. The newest engine is a 1.0-liter DIG-T 117 with 115 horsepower. It was developed with the help from Daimler. We add that this is the most powerful engine in the Micra lineup. Micra sports version differs externally from the standard car for brand-new light-alloy wheels and the N-Sport logo. Armchairs have Alcantara, as well as strong skin. The interior is complemented by sports mats, a rear-view camera, several parking sensors, and many others.